2-tier Sword Table Display Stand(MA-2SD) Stands and plaques for samurai, fantasy and other swords. 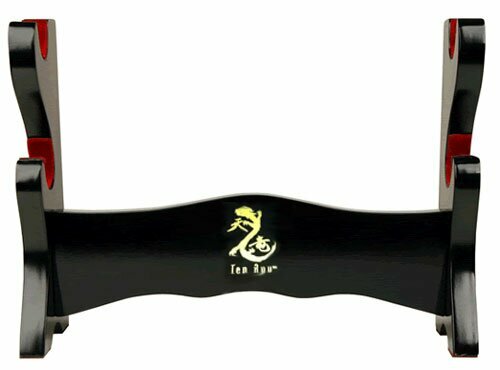 2-tier sword display, solid wood construction, black laquer finish. Red velvet holders. You can hang it on the wall with two attached mounts. Nice sword display, carries 2 swords. The velvet holders wil safeguard your swords and keep them in place. I ordered 2 of these and i'm very satisfied, excellent choice.